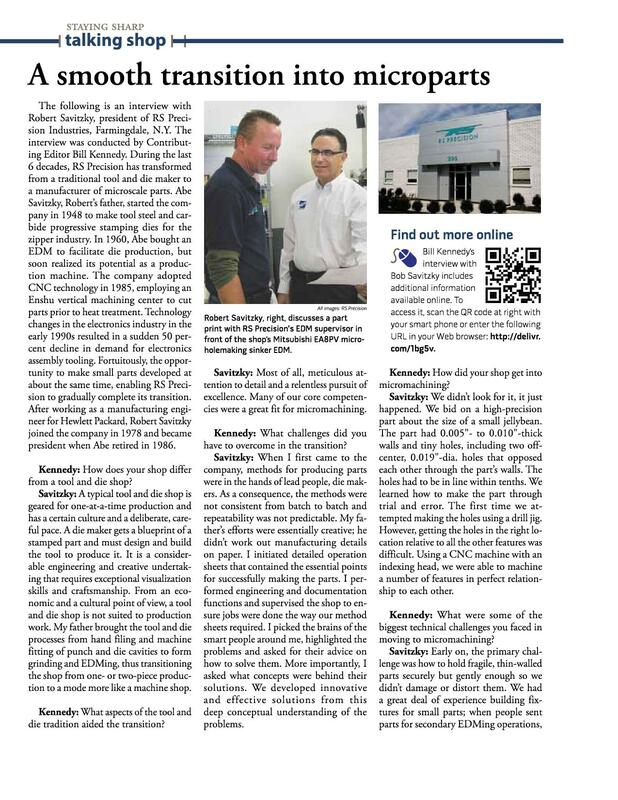 The following is an interview with Robert Savitzky, president of RS Precision INdustries, Farmindale, N.Y. The interview was conducted by Contributing Editor Bill Kennedy. During the last 6 decades, RS Precision has transformed from a traditional tool and die maker to a manufacturer of microscale parts. Abe Savitzky, Robert's father, started the company in 1948 to make tool steel and carbide progressive stamping dies for the zipper industry.